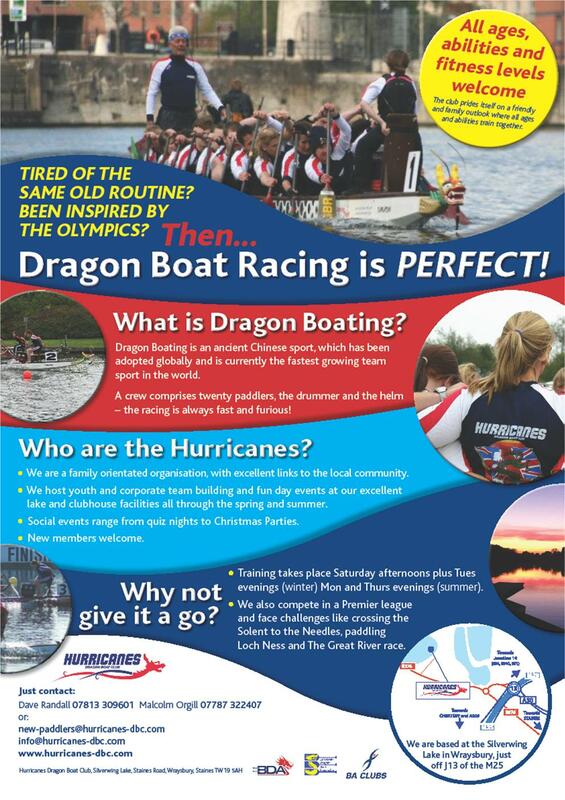 Home » Want to try Dragonboating? The Hurricanes are based at the Silver Wing Lake at Wraysbury, minutes away from the M4, M25 and M3, situated just inside the village of Wraysbury on the Staines Road, TW19 5AH. They have a fully equipped lake and clubhouse where you can enjoy a drink and socialise following all the fun of dragonboating. They share the facilities with a sailing club as well as fishermen at this beautiful location.